To find traveler tips, where to stay, other places to visit, and more tourist information, use the Los Angeles trip planner. Brussels, Belgium to Los Angeles is an approximately 15-hour combination of train and flight. You can also fly; or do a combination of shuttle and flight. The time zone difference when traveling from Brussels to Los Angeles is minus 9 hours. In September, Los Angeles is a bit warmer than Brussels - with highs of 34°C and lows of 22°C. Finish your sightseeing early on the 16th (Mon) so you can drive to Joshua Tree National Park. On the 16th (Mon), admire the natural beauty at Cholla Cactus Garden and then admire the verdant scenery at Hidden Valley Nature Trail. To see traveler tips, other places to visit, photos, and tourist information, refer to the Joshua Tree National Park trip itinerary builder site . Traveling by car from Los Angeles to Joshua Tree National Park takes 3.5 hours. Alternatively, you can do a combination of bus and taxi; or do a combination of bus and car. When traveling from Los Angeles in September, plan for somewhat warmer days and about the same nights in Joshua Tree National Park: temperatures range from 39°C by day to 23°C at night. Finish your sightseeing early on the 16th (Mon) to allow enough time to drive to Grand Canyon National Park. Start off your visit on the 17th (Tue): trek along Bright Angel Trail. 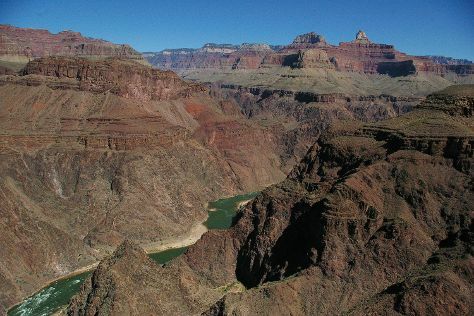 To find photos, maps, ratings, and other tourist information, go to the Grand Canyon National Park trip planner . Traveling by car from Joshua Tree National Park to Grand Canyon National Park takes 6.5 hours. The time zone difference when traveling from Joshua Tree National Park to Grand Canyon National Park is 1 hour. When traveling from Joshua Tree National Park in September, plan for a bit cooler days in Grand Canyon National Park, with highs around 28°C, while nights are much colder with lows around 7°C. On the 18th (Wed), you'll have the morning to explore before heading off to Page. On the 18th (Wed), have fun at Gunfighter Canyon, explore the striking landscape at Horseshoe Bend, and then take in breathtaking views at Antelope Canyon. On the 19th (Thu), you'll have a packed day of sightseeing: surround yourself with nature on a nature and wildlife tour, then admire the engineering at Glen Canyon Dam, then admire the engineering at Glen Canyon Dam Overlook, and finally browse the collection at Page Public Library. To find ratings, where to stay, other places to visit, and other tourist information, refer to the Page driving holiday planning tool . Traveling by car from Grand Canyon National Park to Page takes 2.5 hours. Expect a bit warmer temperatures when traveling from Grand Canyon National Park in September; daily highs in Page reach 35°C and lows reach 20°C. Wrap up your sightseeing on the 20th (Fri) early enough to drive to Monument Valley. Monument Valley is a region of the Colorado Plateau characterized by a cluster of vast sandstone buttes, the largest reaching 1000ft above the valley floor. Kick off your visit on the 20th (Fri): catch all the local highlights with Sightseeing Tours and then explore the striking landscape at Monument Valley Navajo Tribal Park. For more things to do, where to stay, traveler tips, and more tourist information, you can read our Monument Valley sightseeing planner. You can drive from Page to Monument Valley in 2.5 hours. Another option is to take a bus. Expect little chillier temperatures when traveling from Page in September; daily highs in Monument Valley reach 32°C and lows reach 13°C. Finish your sightseeing early on the 20th (Fri) so you can drive to Canyonlands National Park. Start off your visit on the 21st (Sat): get great views at Grand View Point Overlook, appreciate the extensive heritage of Island in the Sky, then take in the dramatic natural features at Upheaval Dome, and finally explore the striking landscape at Mesa Arch. To see traveler tips, maps, where to stay, and more tourist information, use the Canyonlands National Park road trip planner . Getting from Monument Valley to Canyonlands National Park by car takes about 4.5 hours. In September, daytime highs in Canyonlands National Park are 34°C, while nighttime lows are 15°C. Wrap up your sightseeing on the 22nd (Sun) early enough to drive to Bryce Canyon National Park. On the 22nd (Sun), enjoy breathtaking views from Bryce Point, get great views at Inspiration Point, look for gifts at Ruby's Inn Canyon Rock Shop, then trek along Navajo Loop Trail, and finally hike along Navajo/Queens Garden Loop. You can drive from Canyonlands National Park to Bryce Canyon National Park in 5.5 hours. Another option is to do a combination of car and bus. Plan for slightly colder temperatures traveling from Canyonlands National Park in September, with highs in Bryce Canyon National Park at 24°C and lows at 5°C. Wrap up your sightseeing on the 23rd (Mon) to allow time to drive to Zion National Park. Kick off your visit on the 23rd (Mon): explore the striking landscape of The Narrows. For more things to do, where to stay, ratings, and other tourist information, read our Zion National Park trip planner . Getting from Bryce Canyon National Park to Zion National Park by car takes about 3 hours. Plan for somewhat warmer temperatures traveling from Bryce Canyon National Park in September, with highs in Zion National Park at 34°C and lows at 10°C. Wrap up your sightseeing on the 24th (Tue) early enough to drive to Las Vegas. On the 24th (Tue), take in breathtaking views at Red Rock Canyon National Conservation Area, then admire the local landmark of Bellagio Fountains, and then examine the collection at The Mob Museum. To see more things to do, traveler tips, ratings, and other tourist information, refer to the Las Vegas online trip maker . You can drive from Zion National Park to Las Vegas in 3 hours. Alternatively, you can do a combination of taxi and flight; or do a combination of car and flight. Traveling from Zion National Park to Las Vegas, you'll gain 1 hour due to the time zone difference. When traveling from Zion National Park in September, plan for a bit warmer days in Las Vegas, with highs around 39°C, while nights are much warmer with lows around 25°C. Finish your sightseeing early on the 25th (Wed) to allow enough time to drive to Death Valley National Park. Kick off your visit on the 25th (Wed): make a trip to Mesquite Flat Sand Dunes and then take in the dramatic natural features at Zabriskie Point. For traveler tips, reviews, and tourist information, refer to the Death Valley National Park online vacation planner . You can drive from Las Vegas to Death Valley National Park in 2.5 hours. Alternatively, you can do a combination of bus and taxi; or take a bus. Traveling from Las Vegas in September, plan for little chillier nights in Death Valley National Park, with lows around 20°C. Finish up your sightseeing early on the 25th (Wed) so you can go by car to Yosemite National Park. 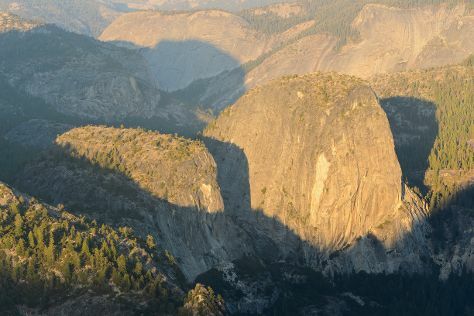 Kick off your visit on the 26th (Thu): cruise along Tioga Pass, take in the dramatic natural features at Sentinel Dome, then explore the striking landscape at Glacier Point, and finally make a trip to Olmsted Point. On your second day here, take in the dramatic natural features at El Capitan, get great views at Tunnel View, and then trek along Mariposa Grove of Giant Sequoias. For maps, reviews, and more tourist information, you can read our Yosemite National Park online trip builder . You can drive from Death Valley National Park to Yosemite National Park in 8 hours. Another option is to do a combination of car and bus. Traveling from Death Valley National Park in September, expect nights in Yosemite National Park to be much colder, around 3°C, while days are a bit cooler, around 27°C. Wrap up your sightseeing on the 27th (Fri) to allow time to drive to San Francisco. 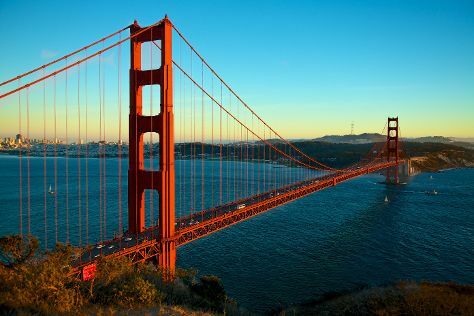 Start off your visit on the 28th (Sat): make a trip to Ferry Building Marketplace, then take in the waterfront at Fisherman's Wharf, then step off the mainland to explore Alcatraz Island, and finally snap pictures at Golden Gate Bridge. Get ready for a full day of sightseeing on the 29th (Sun): admire the natural beauty at Japanese Tea Garden, then stroll through Golden Gate Park, and then don't miss a visit to Lombard Street. To find where to stay, maps, ratings, and other tourist information, go to the San Francisco road trip planning app . Drive from Yosemite National Park to San Francisco in 4 hours. Alternatively, you can take a bus; or do a combination of taxi, bus, flight, and subway. Traveling from Yosemite National Park in September, plan for a bit warmer nights in San Francisco, with lows around 17°C. Wrap up your sightseeing on the 29th (Sun) early enough to travel to Santa Barbara. On the 30th (Mon), take a leisurely stroll along Santa Barbara Harbor, then tour the pleasant surroundings at Shoreline Park, and then take your sightseeing to a higher altitude at Cold Spring Tavern. To find maps, traveler tips, other places to visit, and other tourist information, go to the Santa Barbara itinerary planner. Fly from San Francisco to Santa Barbara in 4 hours. Alternatively, you can drive; or do a combination of flight and train. Expect a daytime high around 30°C in September, and nighttime lows around 17°C. Finish your sightseeing early on the 30th (Mon) to allow enough time to drive to Los Angeles. Your day-by-day itinerary now includes Universal Studios Hollywood. Kick off your visit on the 1st (Tue): partake in some friendly competition at Fantastic Race, then find something for the whole family at Universal Studios Hollywood, then get to know the fascinating history of Hollywood Walk of Fame, and finally look and learn at Griffith Observatory. On the 2nd (Wed), you'll have a packed day of sightseeing: kick back and relax at Venice Beach and Boardwalk, appreciate the extensive heritage of Venice Canals Walkway, and then see the interesting displays at The Getty Center. For more things to do, reviews, traveler tips, and other tourist information, read our Los Angeles road trip app . You can drive from Santa Barbara to Los Angeles in 2 hours. Other options are to take a bus; or take a train. Traveling from Santa Barbara in September, expect Los Angeles to be a bit warmer, temps between 34°C and 22°C. Finish up your sightseeing early on the 2nd (Wed) so you can travel back home.